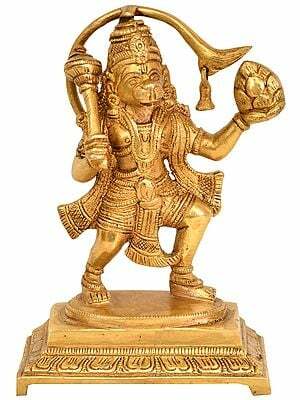 The Mystery of Shri Hanuman with Five Heads: Vaishnavas believe that the wind-god Vayu underwent three incarnations to help Lord Vishnu. 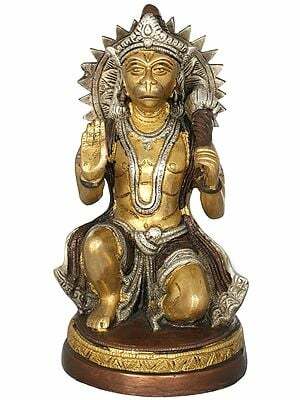 As Hanuman he helped Rama; as Bheema he assisted Krishna; and as Madhavacharya he founded the Vaishnava sect. 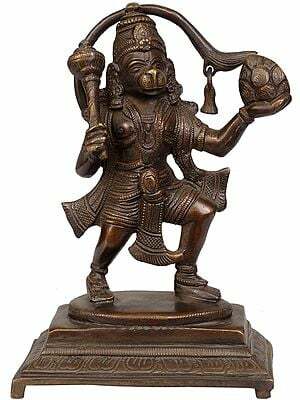 It is interesting to note that in his youth Shri Madhavacharya distinguished himself in physical exercises and field games and is said to have had a wonderful physique. 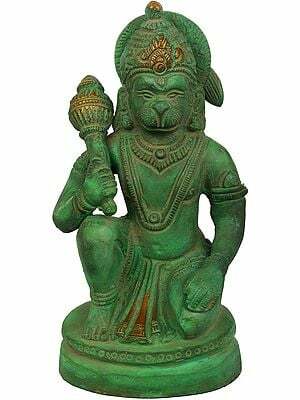 Truly, physical prowess is an integral aspect of the cult of Hanuman and he is the patron deity of wrestlers and body-builders. 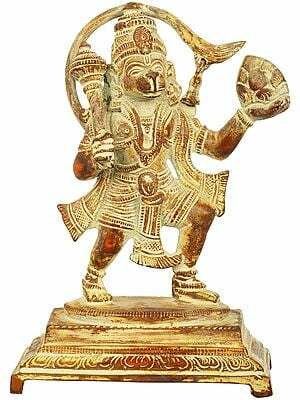 He is most popularly referred to as 'Vajra-anga-Bali,' meaning the Powerful One (bali) with a body (anga) hard as a thunderbolt (vajra). 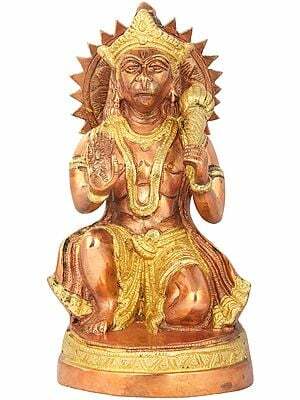 The Vaishnavas evolved a syncretic form of Hanuman with five heads and ten arms, incorporating in the composite image five important Vaishnavite deities: At the center a monkey's face (Hanuman). 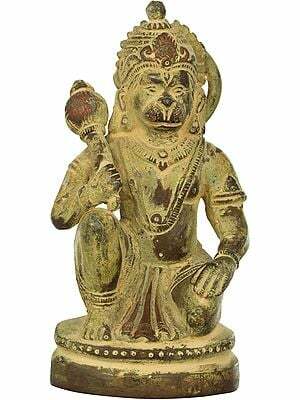 A lion's visage representing Narasimha gazing southwards. An eagle's head symbolizing Garuda facing west. A boar head of Varaha (north). 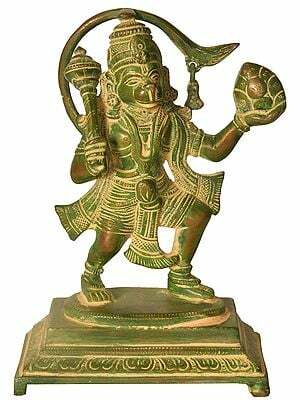 A horse's face for Hayagriva (facing the sky). Each head signifies a particular trait. 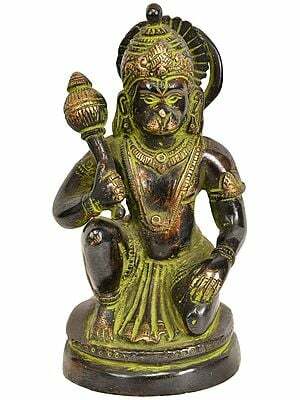 Hanuman courage and strength, Narasimha fearlessness, Garuda magical skills and the power to cure snake bites, Varaha health and exorcism and Hayagriva victory over enemies. Can a smaller version of this statue be made available?